ExVet1: I looked around and this subject doesn’t look like it’s been kicked around on this forum before. Not for a while anyway. As many of you know, the RPF issues were leaked to Wikileaks nearly a year ago. I happen to know who did that. 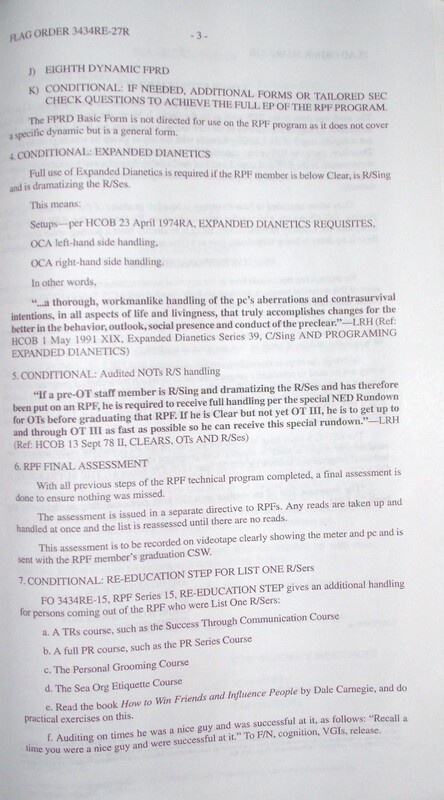 In the “Discussion” portion of that Wikileaks entry is an article on the dreaded RPF Final Assessment. I know who wrote that too. I also know from my own personal experience that write-up is deadly accurate. For your edification, I am leaving the report on the Final Assessment right here. I hope it pisses you off as much as it does me. I wonder if there are any French nationals on the program currently? If so, perhaps the gov’t there would appreciate the information (evil laughter and much hand-wringing)…. 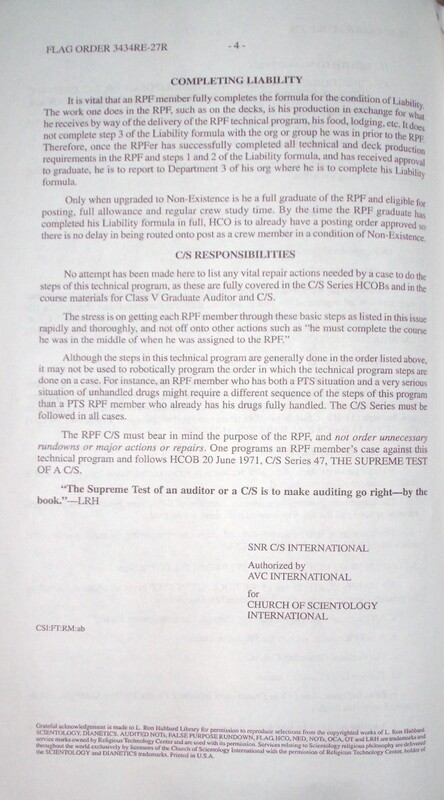 The leaked issues are the complete set of the Sea Organisation policies concerning the set-up, organisation and running of all of Scientology’s Rehabilitation Project Forces (RPF). 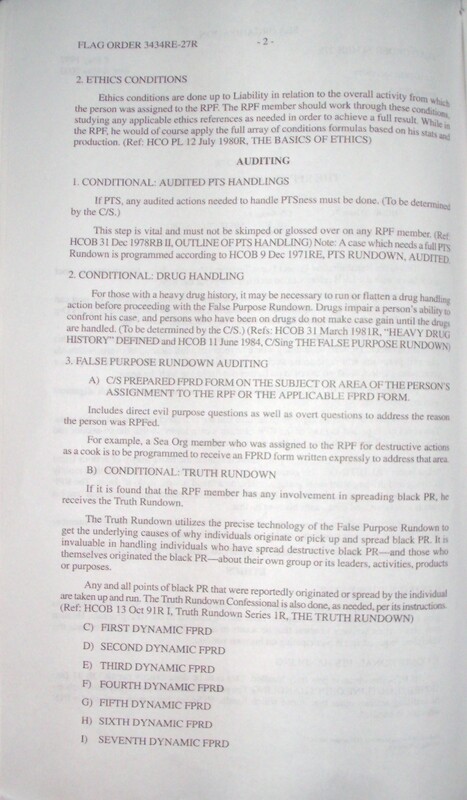 This includes the “technical” program that is used to get RPF inmates to confess to their “crimes” and rid themselves of the “evil purposes” that prompted them to commit those “crimes”. These issues are the current policies in use today. These documents are genuine. They are what is in use today in the Scientology re-education camps. The Sea Organisation is that “elite” group of Scientologists who run Scientology. 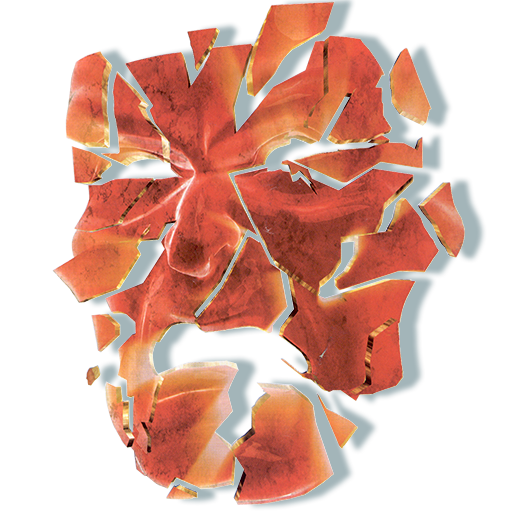 The SO was established by L. Ron Hubbard in 1967 who then ran his new organisation with a very high level of discipline. In early 1974, he established the Rehabilitation Project Force for Sea Org members whom he perceived to be treasonous and destructive to the organisation or to have seriously broken its disciplinary rules, including just plain dissention. SO members who are assigned to the RPF are considered to be serious criminals. 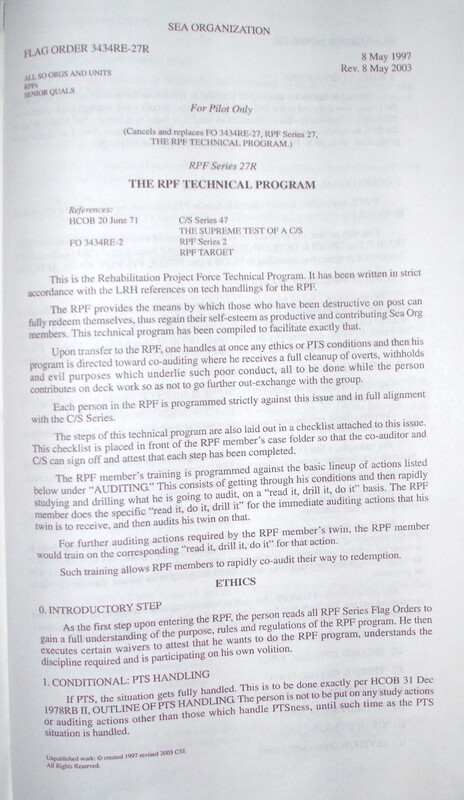 The RPF is still in operation today in the Sea Organisation and it uses the RPF policy issues that were just leaked. In fact, there are several “camps” located in the following areas: The SO’s Los Angeles facility known as the “PAC Base”, the “Flag Land Base” in Clearwater, Florida, the “ANZO” base located in Sydney, Australia, the UK Base located in East Grinstead, West Sussex, England and the “EU Base” located in Copenhagen, Denmark. 1. Regarding Int Execs, do you have an evil purpose? 2. Regarding Int Execs. do you have a vicious intent? 3. Regarding Int Execs, have you been spreading Black PR? 4. Regarding RTC Execs, do you have an evil purpose? 5. Regarding RTC Execs, do you have a vicious intent? 6. Regarding RTC Execs, have you been spreading Black PR? 7. Regarding LRH, do you have an evil purpose? 8. Regarding LRH. do you have a vicious intent? 9. Regarding LRH, have you been spreading Black PR? 10. Regarding LRH, do you have any bad thoughts? 11. Are you secretly disaffected with Management? 12. Do you have any withholds from RTC? 13. Do you have any intention to stop Scientology? 14. Do you have any intention to stop Scientology dissemination? 15. On your RPF program, has an evil purpose been missed? The program blatantly does NOT work as evidenced by the fact that it takes YEARS to get through it, if indeed one gets through it AT ALL. The original 1974 program was supposed to take 3 months to get through. The program has been severely altered since that time and now takes years to complete (or fail to complete). A key example of an alteration is the final assessment above, which was never advised by Hubbard and was made up by somebody else. The RPF issues position this program as something compassionate which no other organisation offers to employees who have wronged the organisation they work for. As other organisations simply fire or prosecute errant or criminal employees, RPF inmates are supposed to consider that they are lucky that they have the “opportunity” to participate in this program. However, with these inmates being incarcerated for years on end with only 7 hours sleep, 5 hours per day of compulsory confessions, a full days hard labor and three 20-minute meal breaks, it is plain to see that this program is tantamount to an illegal internal prison system run by the Church of Scientology. Can you think of any other “religion” that treats its employees like this?